I mentioned in a previous post that I’m a convert to the method of using a crochet hook to cast on my knitting – it gives a neat, stretchy edge that looks more like a cast off edge than a cast on edge, so it’s perfect for accessories like socks and shawls, and useful for bigger garments too. A couple of readers have asked for tips, and I’m happy to oblige! The general principle is the same as the provisional cast on, as demonstrated in Lucy Neatby’s YouTube tutorial, except you must use the yarn that you will be knitting with, not ‘provisional yarn’ – you won’t be undoing it later. Lucy explains the method of creating stitches extremely well and I’d recommend following her tutorial up to the 2 minute point, where she counts 10 stitches on the needle. 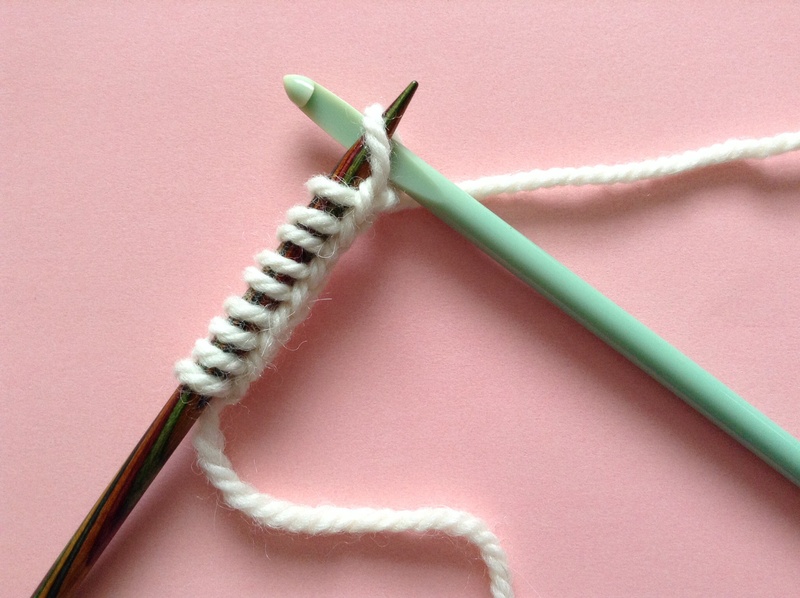 However, for a permanent cast on instead of provisional, you need to include the stitch on your crochet hook as one of your ‘live’ stitches, as this will count towards your final stitch count. So if you want 10 stitches in total, you’d need 9 on your needle plus the 1 on your hook. When you have the number you need (including the one on your hook), simply slip the stitch from the hook to the needle. 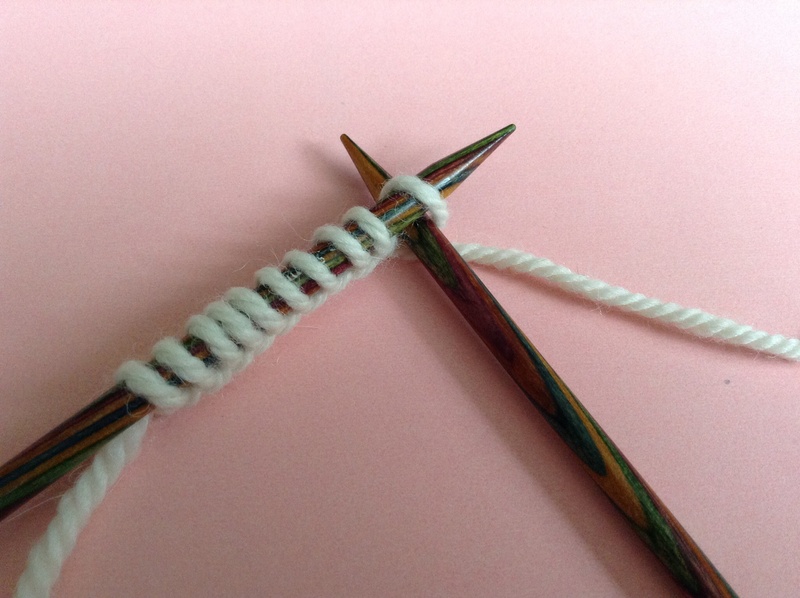 Swap the hook for another knitting needle, and away you go, knitting your first row as normal! Unlike the provisional cast-on, this one won’t come undone. Your cast-on is complete. I hope this makes sense and is of help 🙂 Give it a go and let me know what you think! This entry was posted in Uncategorized and tagged cast-on, Help, knitting, tips, tutorial. Bookmark the permalink. I’ll have a go doing this on my next knit.